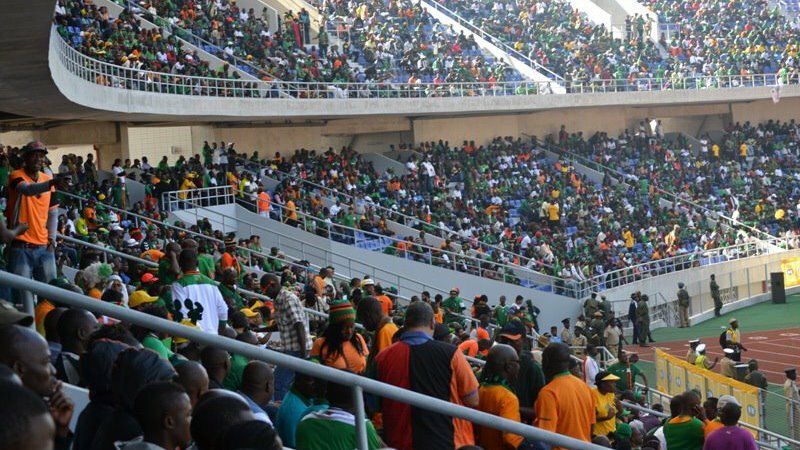 FIFA and Confederation of Africa Football, CAF, have commenced an investigation into the behavior of Fans of the Zambia national team during Nigeria’s 1-0 win over the South African country in Uyo on Saturday. The world football governing body is reacting to photographs showing the Zambia fans displaying a banner, “H.E. E.C. LUNGU GOD BLESS YOU”, in the stands at the Godswill Akpabio International Stadium, in support of ‘unpopular’ Zambian president, Edgar Chagwa Lungu. FIFA does not allow political messages during games, which means that Zambia could be fined by football’s governing body as a result at the end of the inquiry. Chairman of FIFA’s Disciplinary Committee, Claudio Sulser, told Zambian Observer, “However, keeping in mind that the rules need to be applied in a neutral and fair manner across FIFA ’s 211 member associations, the display, among others, of any political or religious symbol is strictly prohibited. It is claimed that the Football Association of Zambia, FAZ, was not aware of the behavior of the Zambian fans in Nigeria.